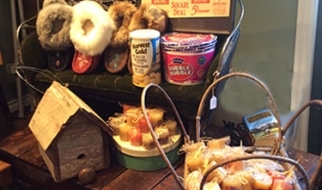 Whytewold Emporium - Restaurant, Antiques & Gifts, Garden Centre | A hidden gem on Lake Winnipeg. ...Delicious food, live entertainment, and a fascinating collection of gifts, antiques and collectibles. Discover a hidden gem on Lake Winnipeg. ...Delicious food, live entertainment, and a fascinating collection of gift items! Our beautiful spring bedding plants are officially in bloom! We have plant specials that will chase away your winter blues. We're famous for our crepes. Our crepes have their origins in Brittany. Come try out a little taste of heaven. We invite you to relax with us in our unique and beautiful country setting by the lake. Time moves slower here, so sit back, breathe in the fresh cottage country air and enjoy what we have to offer. A visit to the Whytewold Emporium is truly a memorable experience. Imagine a place where you can get great food, beverages and live entertainment, while being able to shop. We pride ourselves on delivering quality products at a reasonable price and insist on providing old-fashioned, friendly customer service every time. The Whytewold Emporium serves fresh ground coffee too, but what we’re fast becoming famous for is our wood-fired pizza and our hand-crafted crepes from Brittany. We’re also pleased to offer our customers a selection of wine and beer. Shoppers will enjoy our distinctive selection of merchandise ranging from antiques to jewelry. Gardeners and plant lovers will be pleasantly surprised by our selection of annuals, perennials and our line of garden supplies including earth safe fertilizers. Whytewold Emporium: something for everyone. <b>SPRING&#039;S HERE: Bedding Plants! 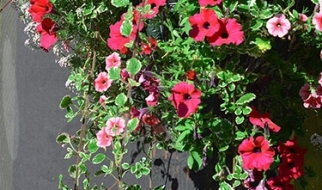 </b><br/><br/>Visit our greenhouse for a wide variety of bedding plants. <b>Antiques & Gifts-- Upstairs! </b><br/><br/> Upstairs you&#039;ll find collectibles, leather goods, and unique gifts items.